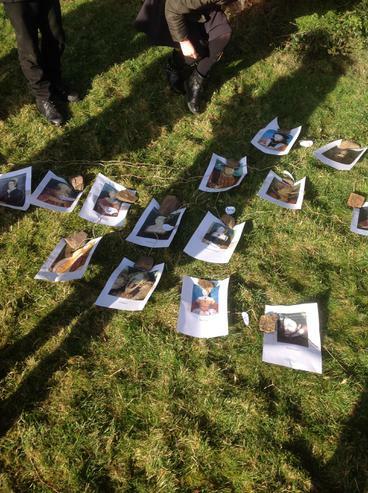 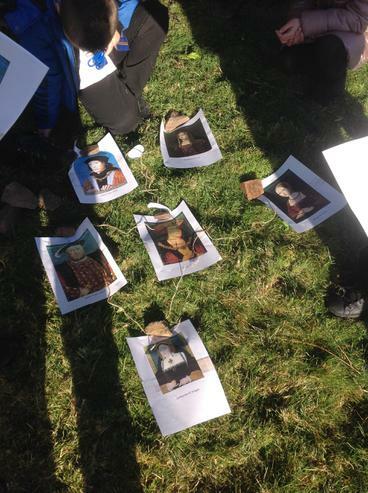 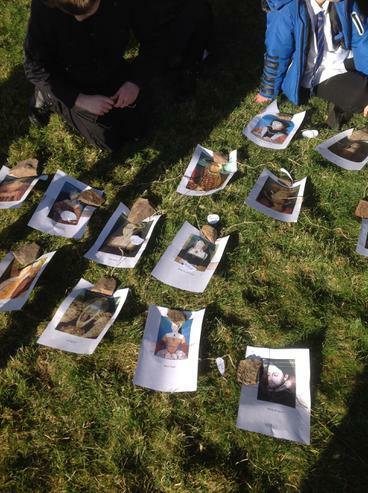 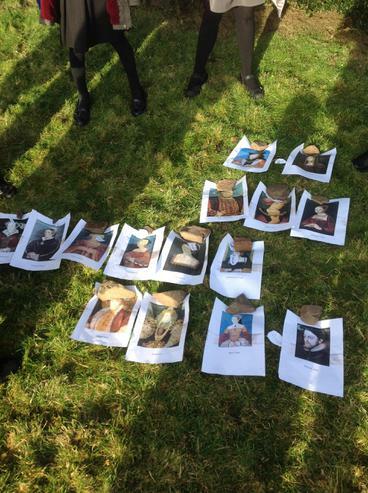 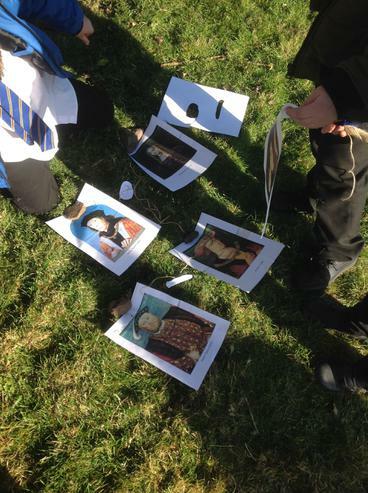 As part of their Tudors Topic, 4SH used images, string and captions to map out the Tudor family tree. 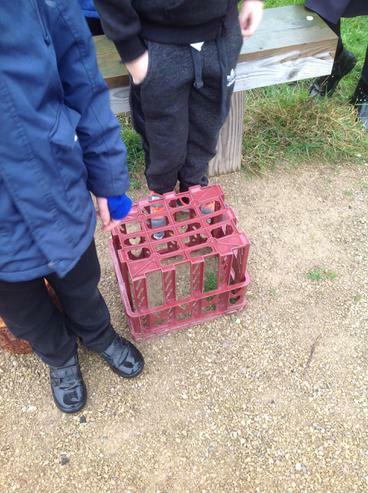 Can you see if they got it right? 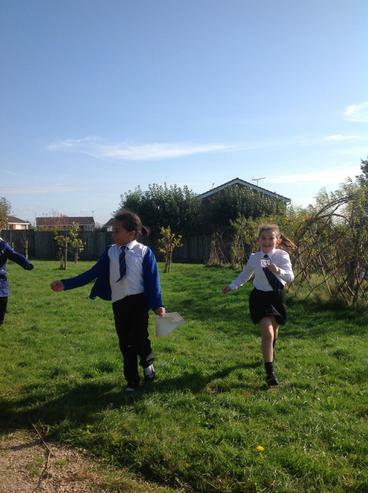 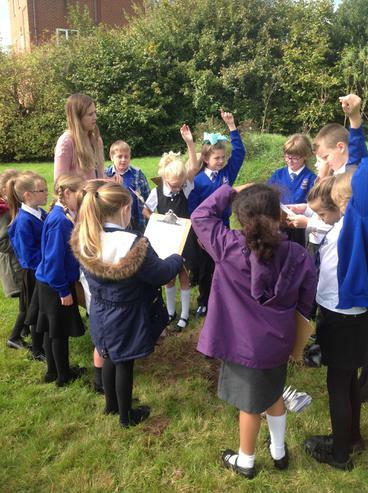 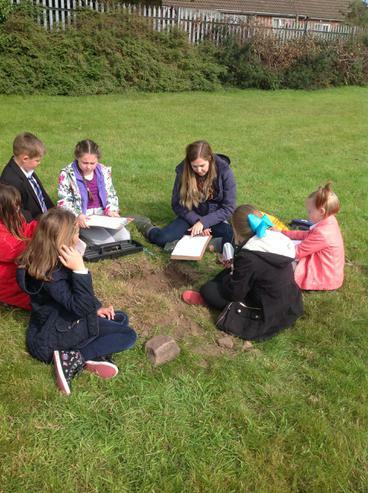 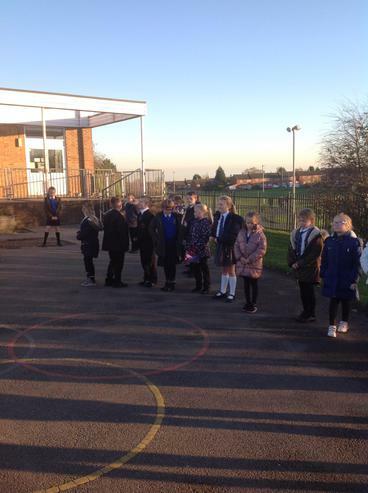 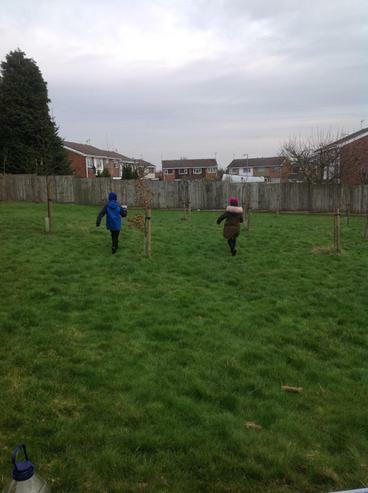 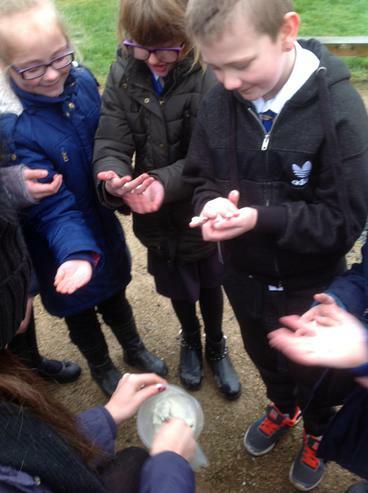 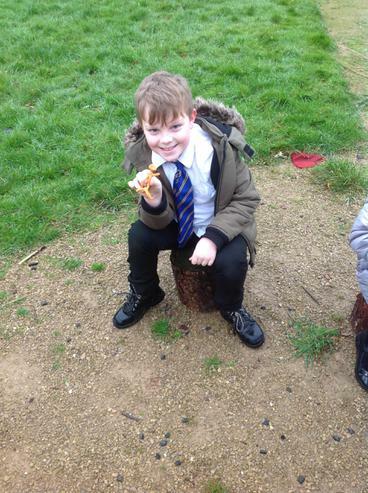 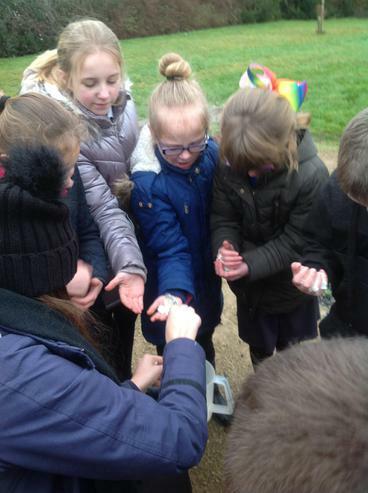 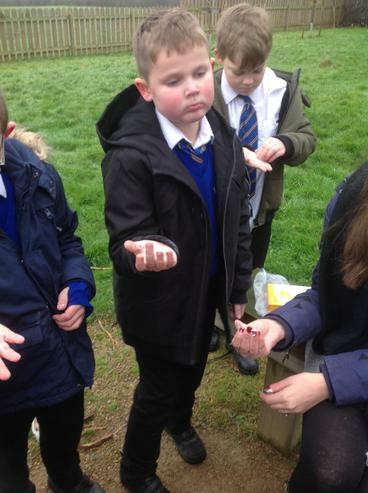 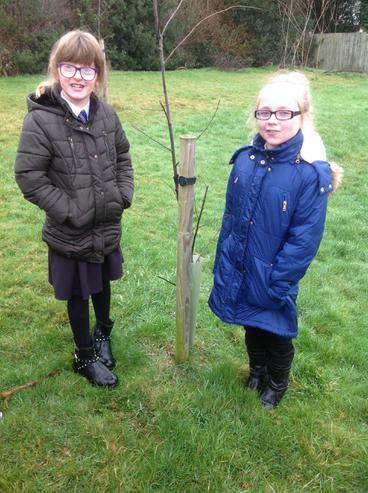 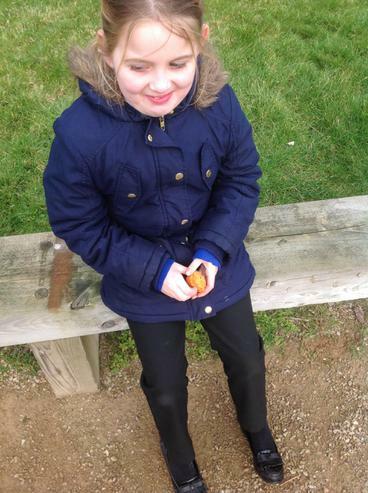 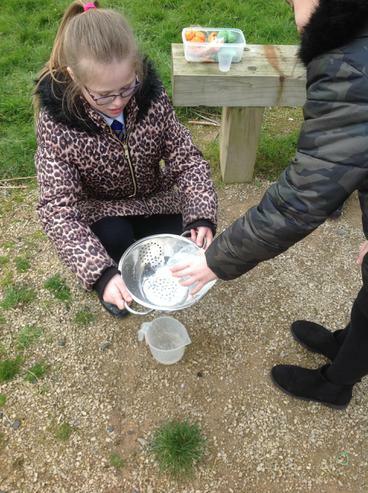 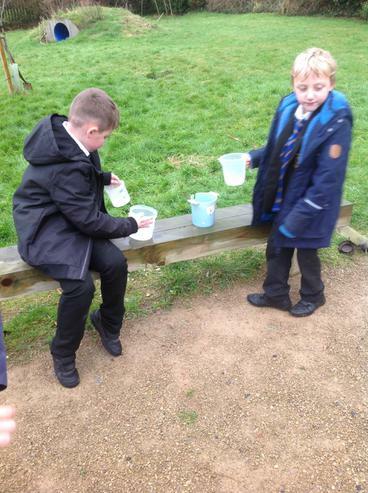 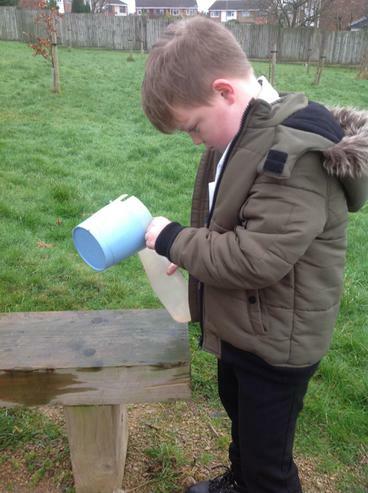 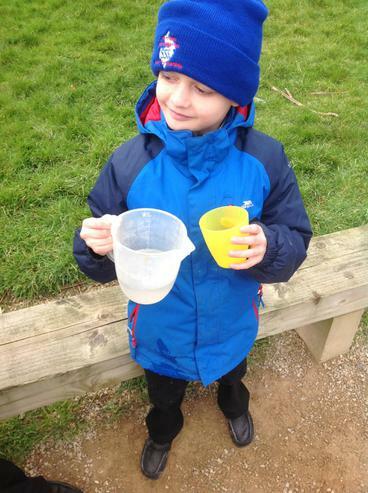 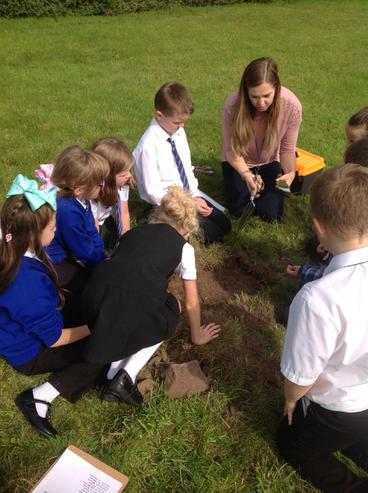 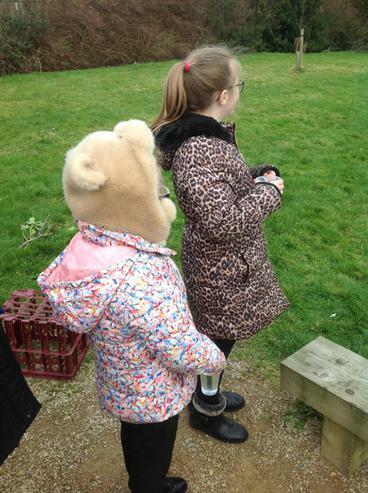 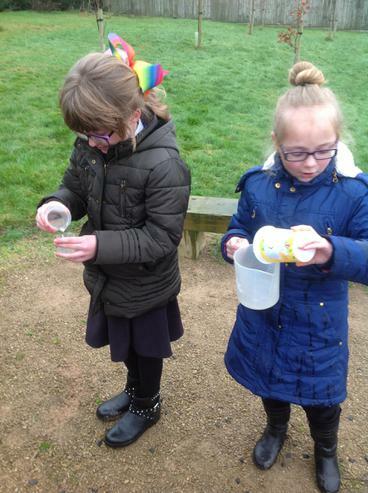 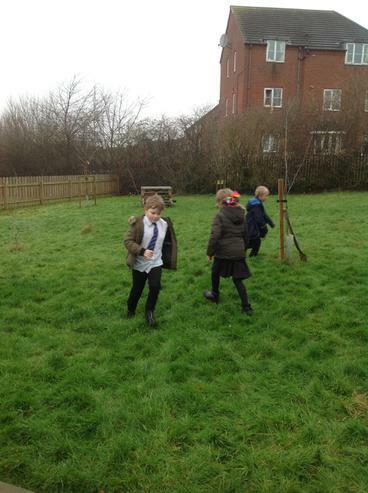 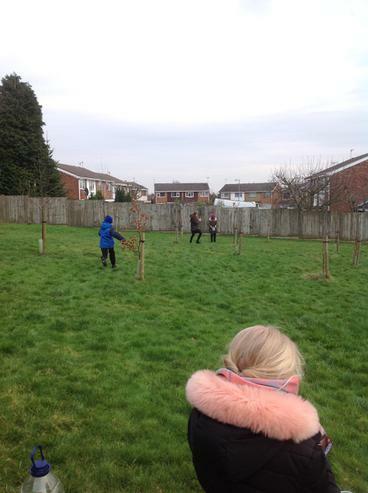 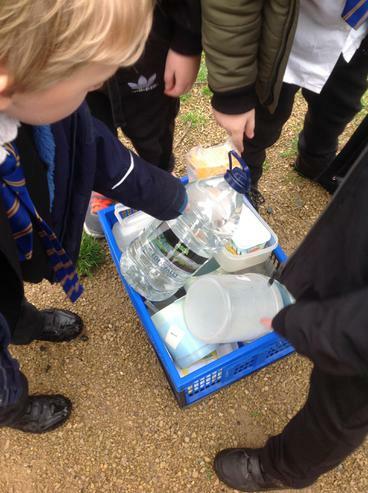 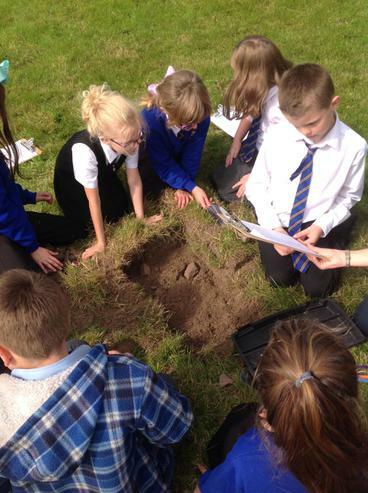 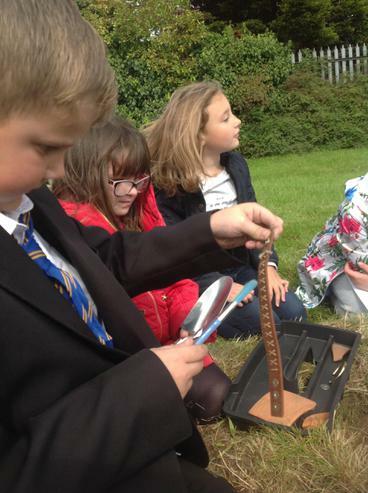 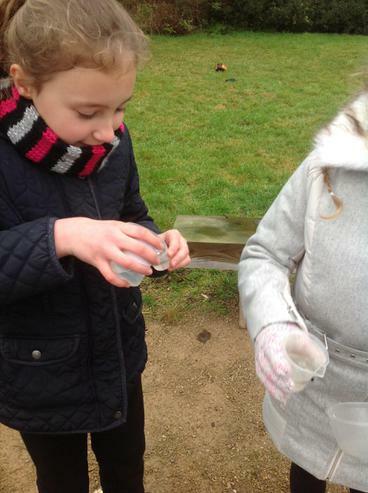 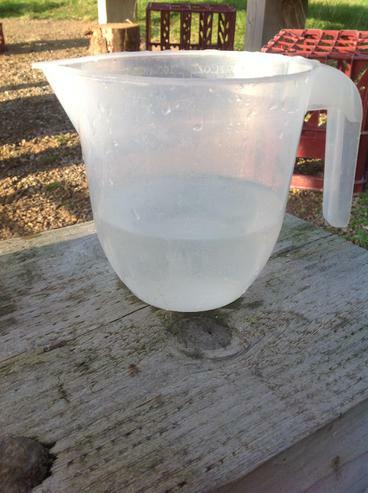 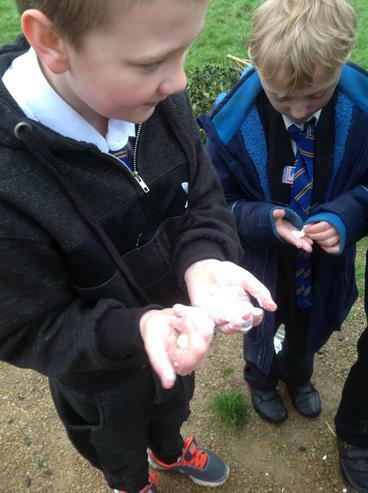 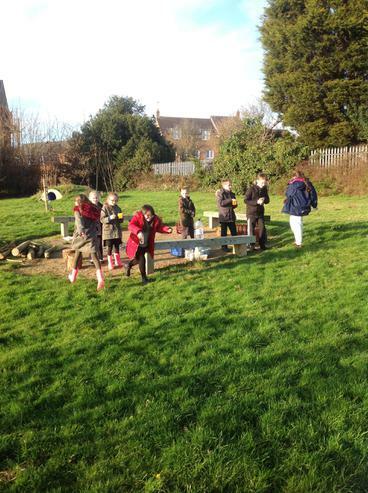 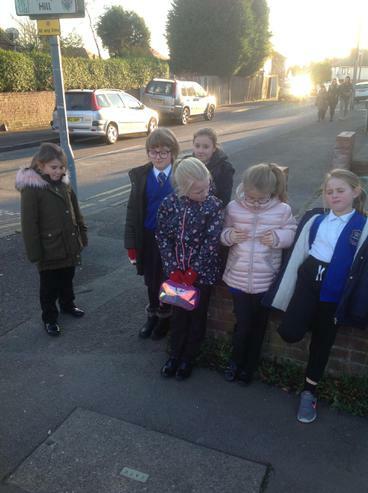 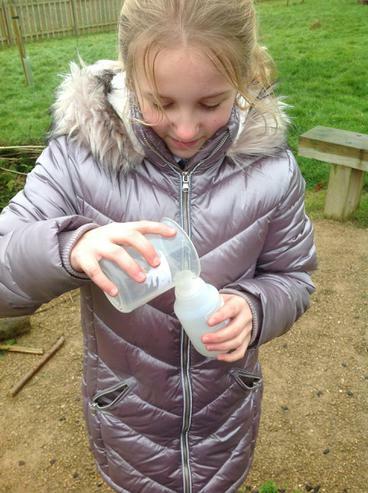 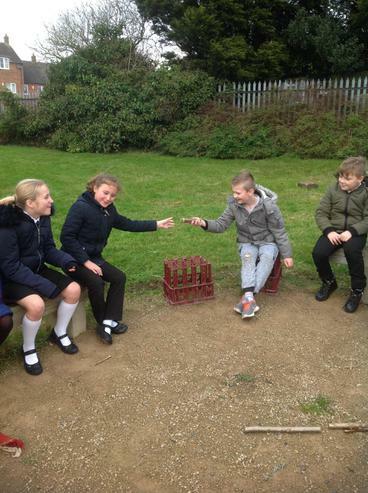 The children in 4SH have a new Science topic about States of Matter, so this week outside we looked at solids, liquids and gases. 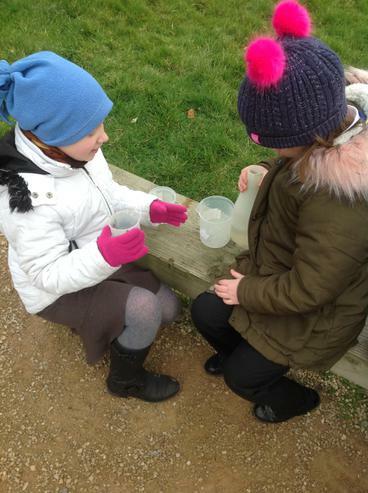 We started off by talking about the particles in solids, liquids and gases and how they move around. 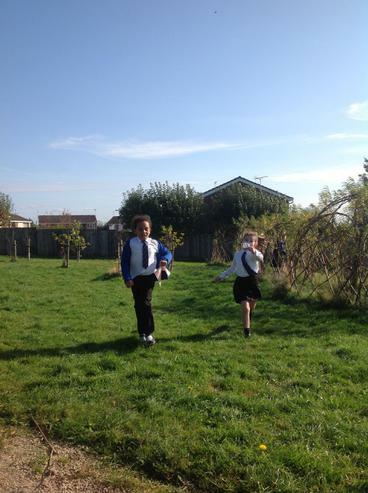 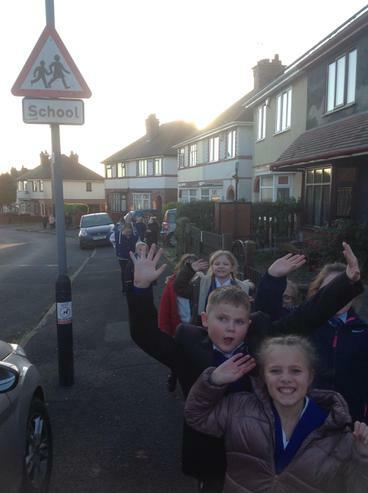 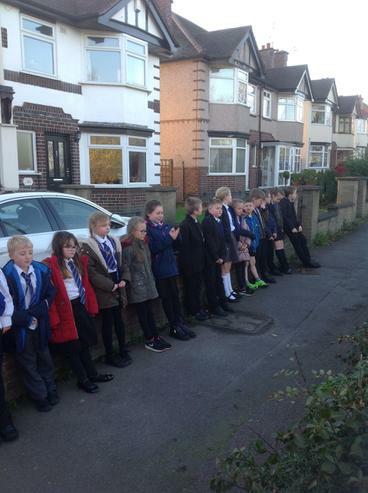 The children re-enacted their movements. 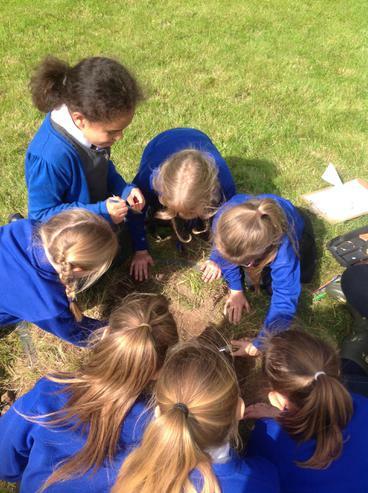 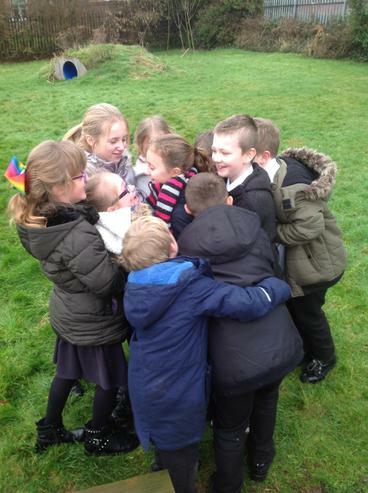 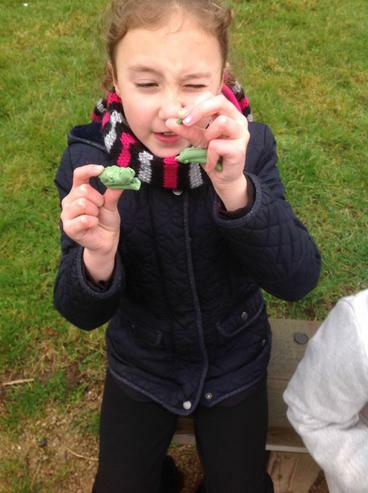 Then, they explored different solids with playdough and talking about other things in the forest school area that are solid. 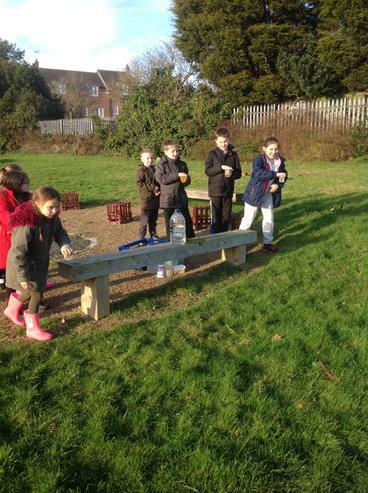 Next, they played with some water and had a team challenge game racing with different amounts of water in different containers. 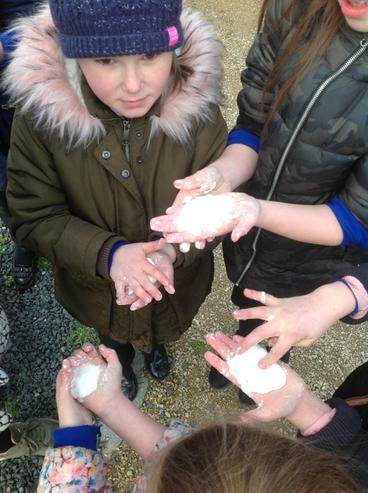 Finally, the children made some slime with corn flour and water and we discussed how the mixture was neither a solid or a liquid! 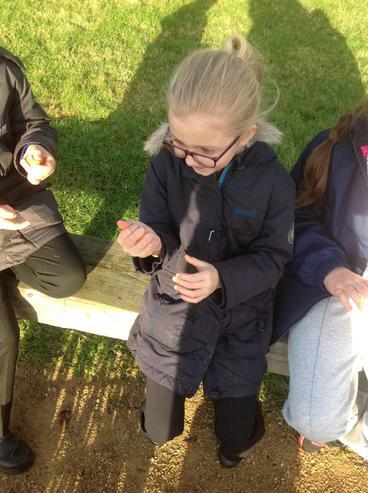 Not everything falls in to one category! 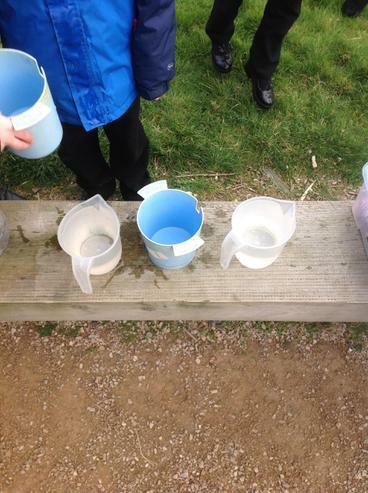 This week, the children were learning about sound. 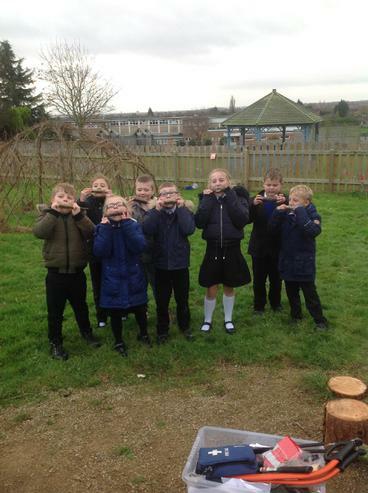 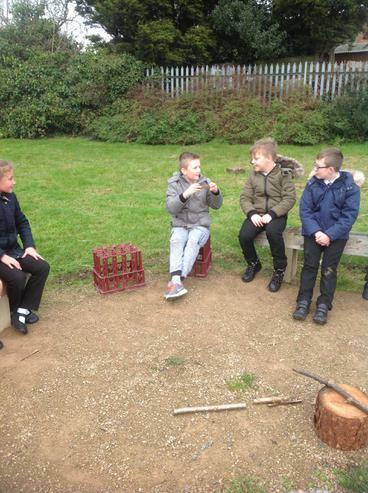 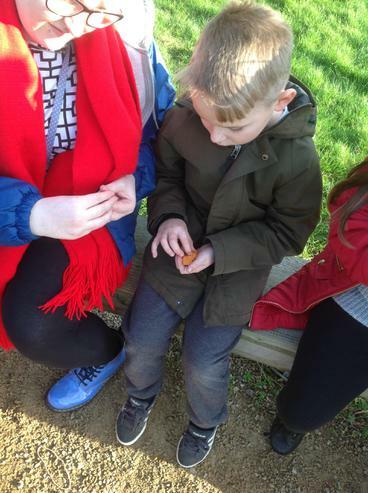 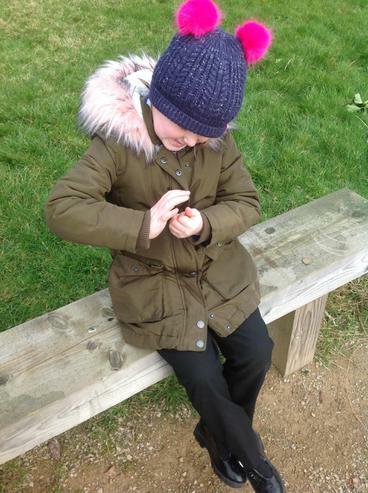 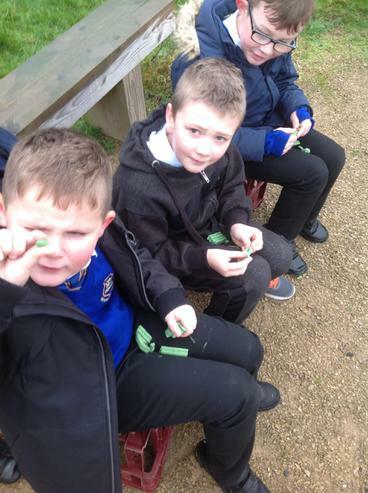 To link in with this topic we learnt how to make a Kazoo! 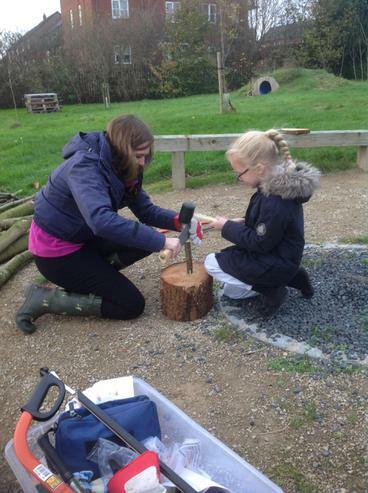 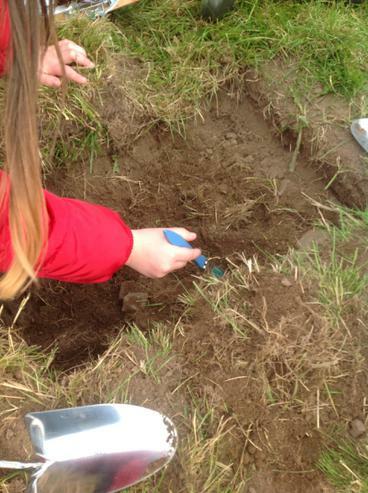 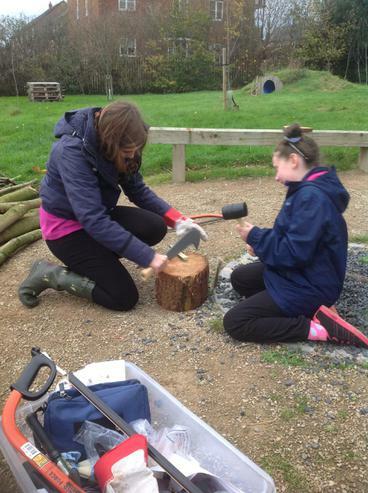 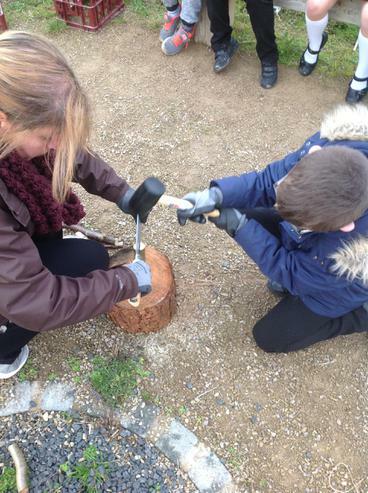 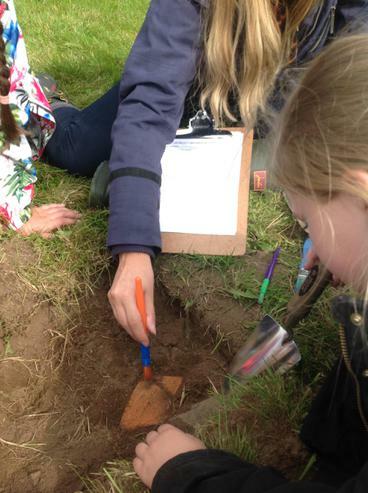 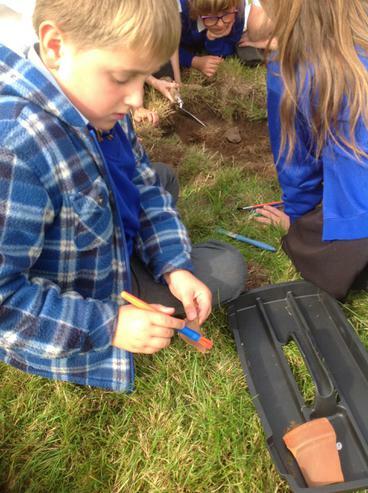 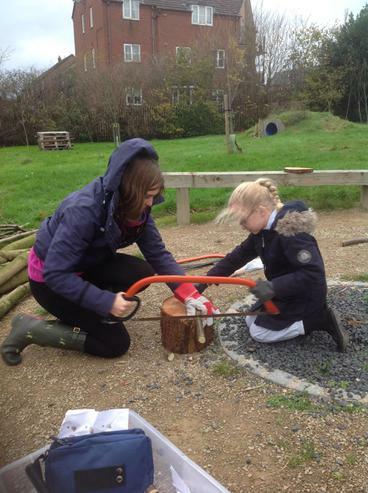 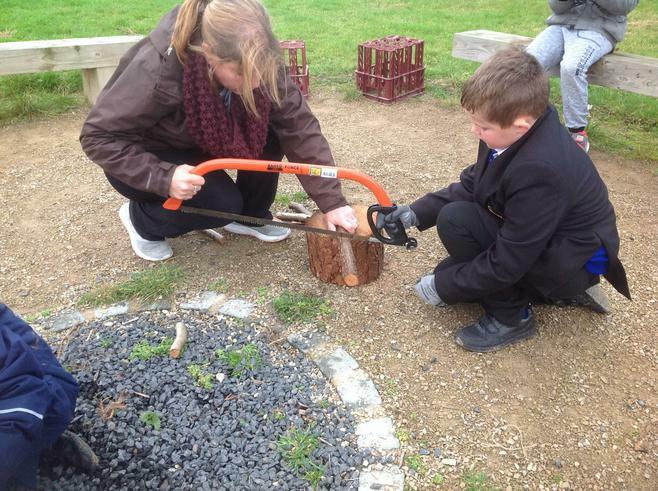 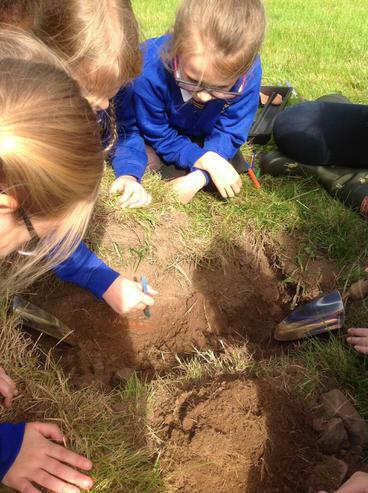 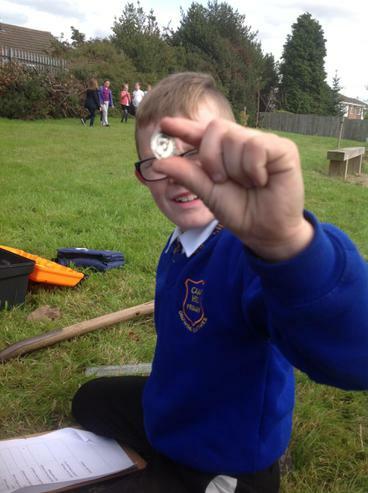 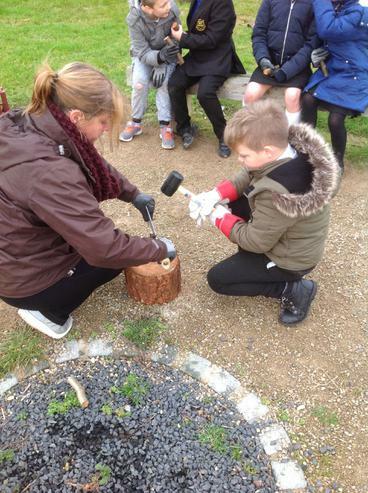 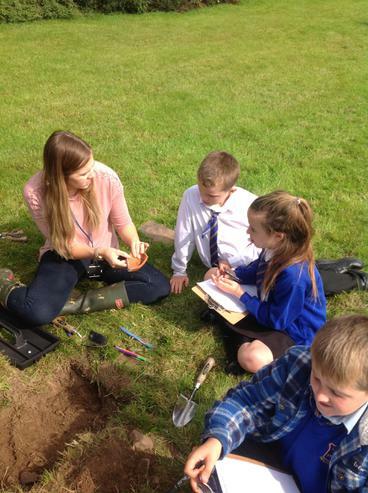 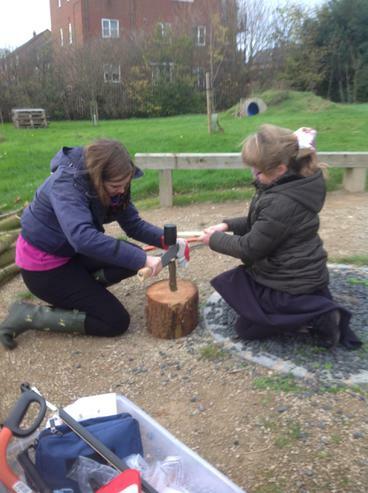 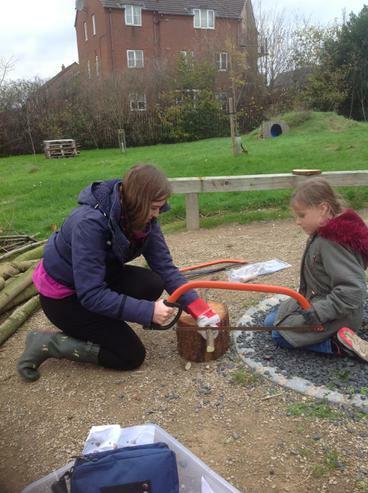 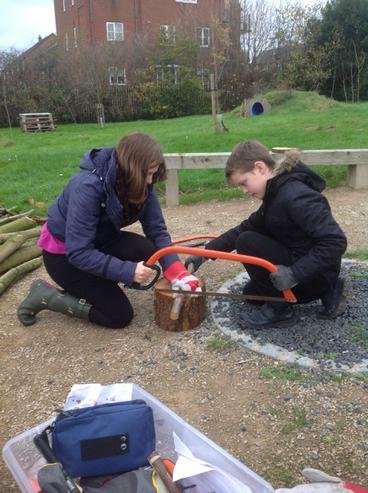 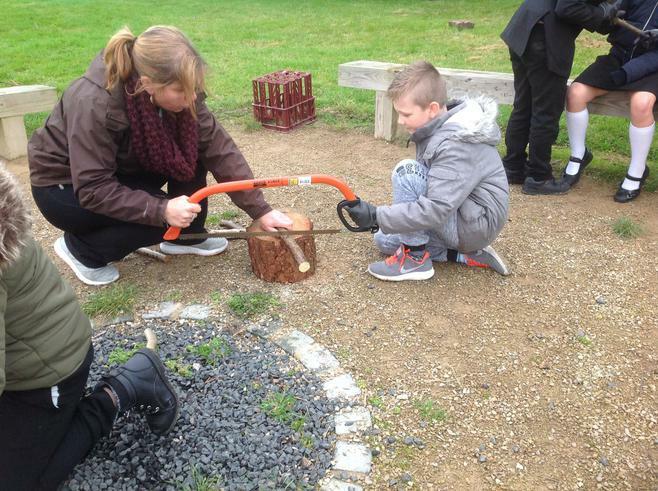 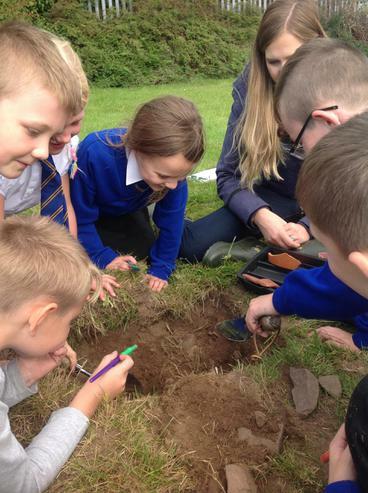 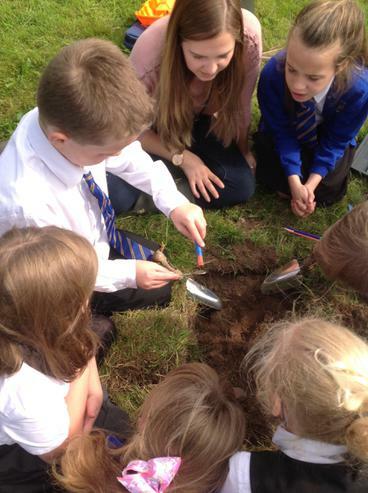 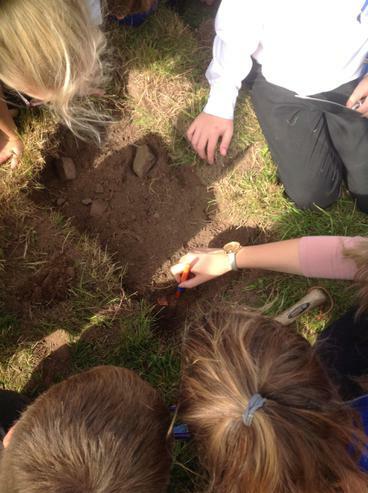 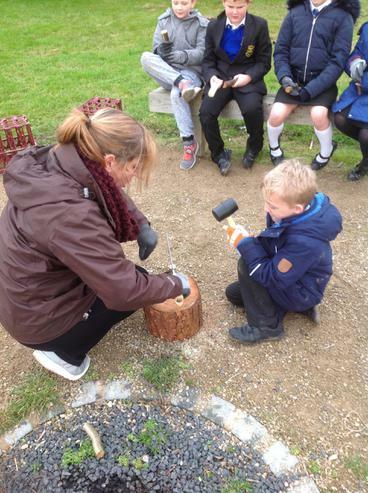 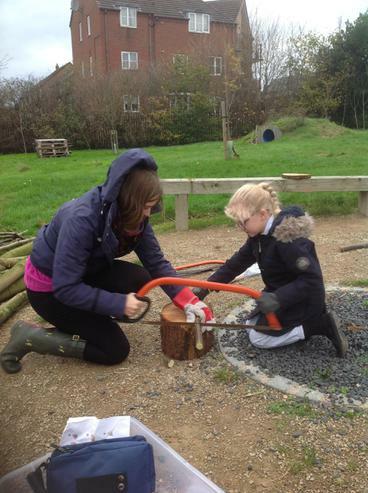 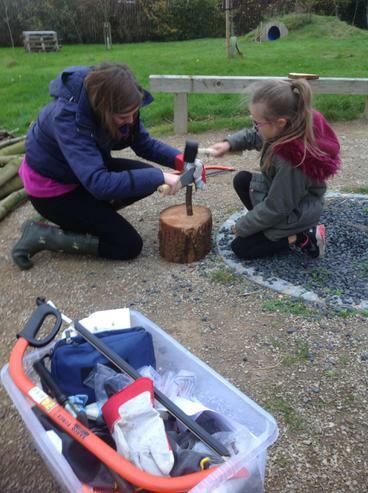 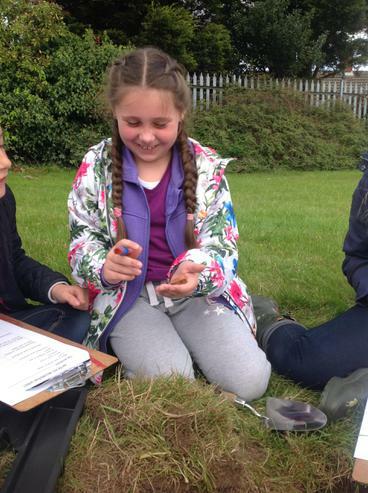 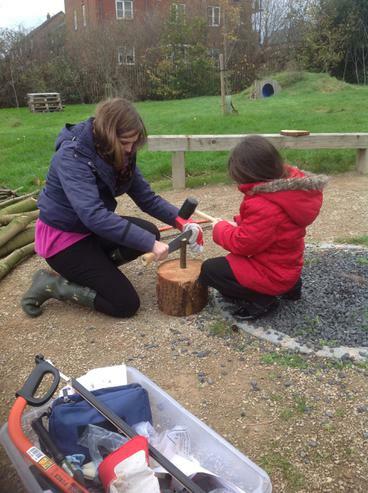 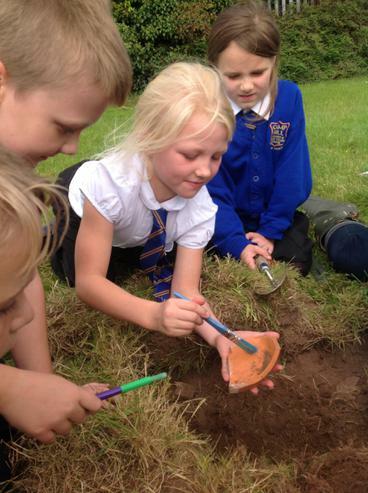 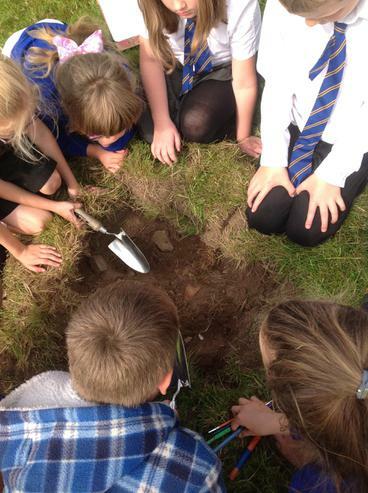 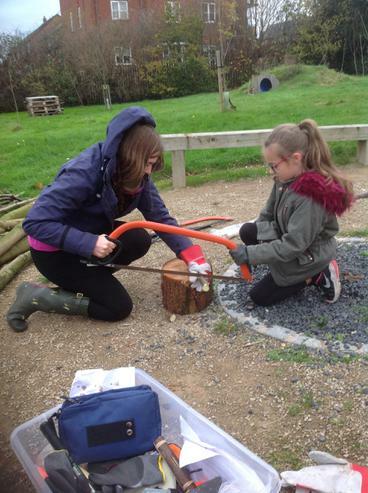 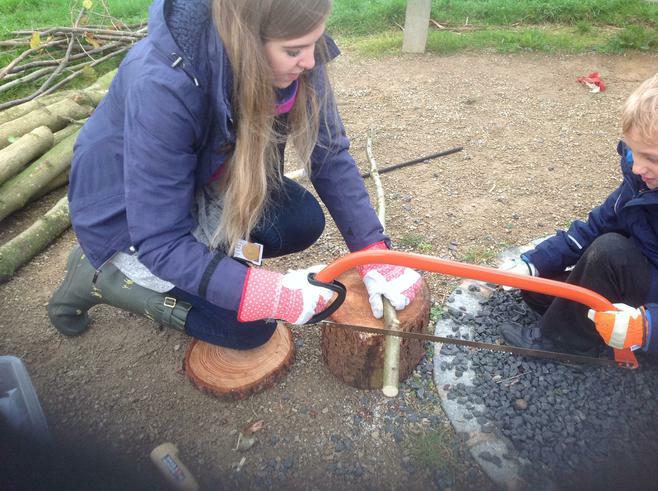 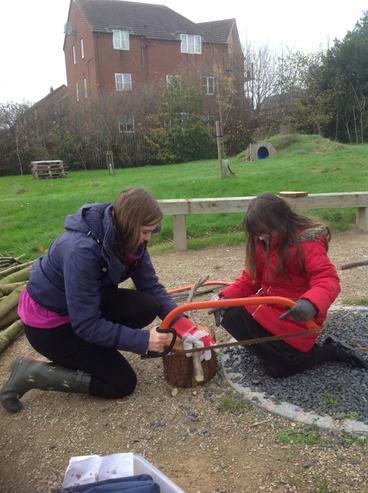 Mrs Milbourne showed the children how to use tools such as a saw, billhook and knife safely. 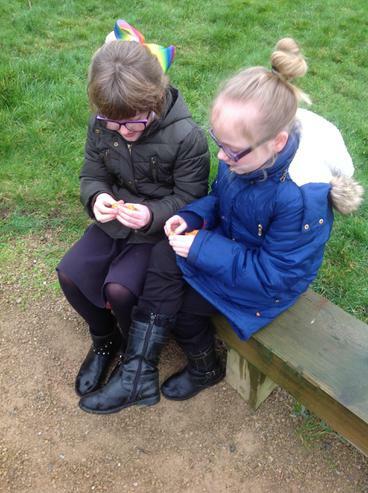 Then they worked in pairs to help each other make their own instrument. 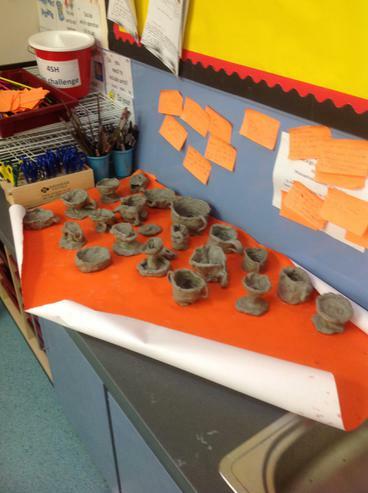 Ask them if they can show you what they made and how! 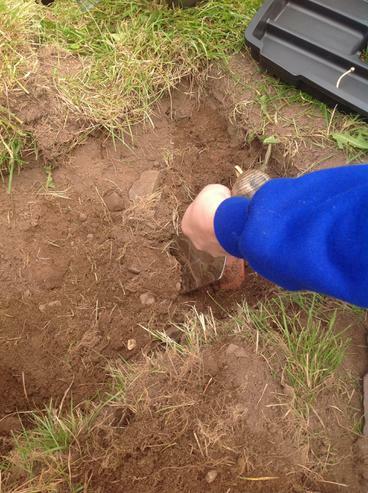 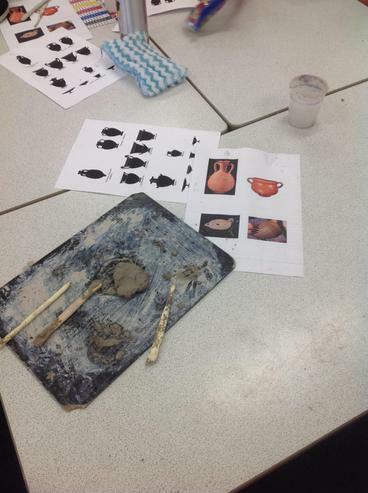 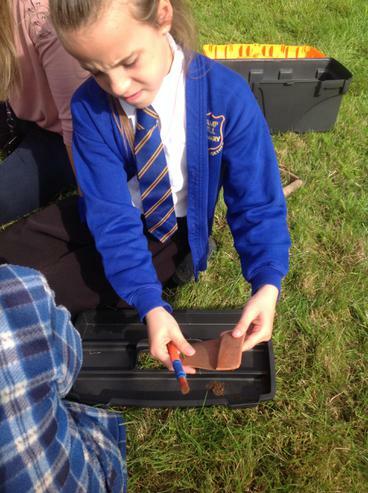 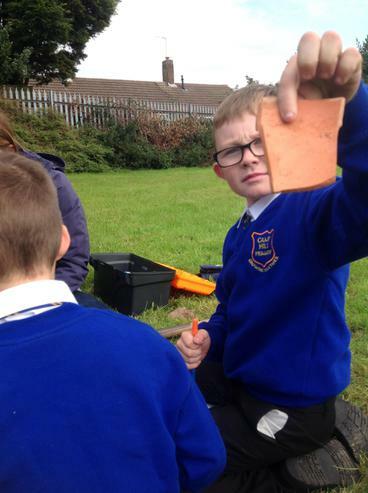 This week, 4SH made some replica Roman pottery! 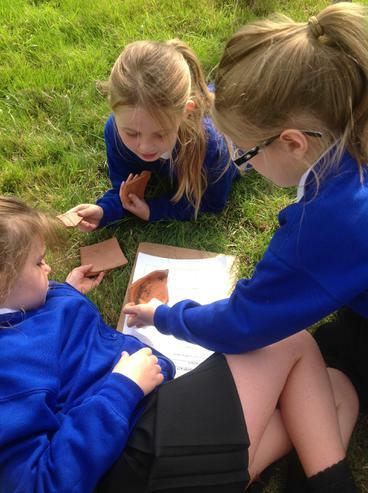 They looked at some sheets and discussed the different shapes and styles of pottery and what they might have been used for. 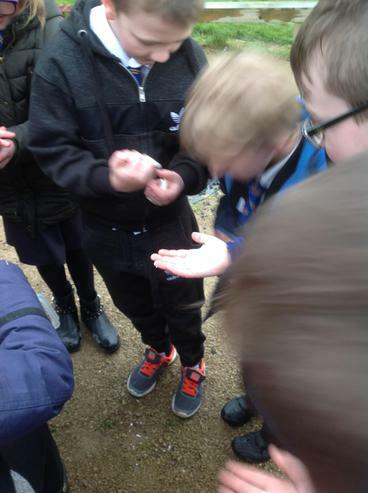 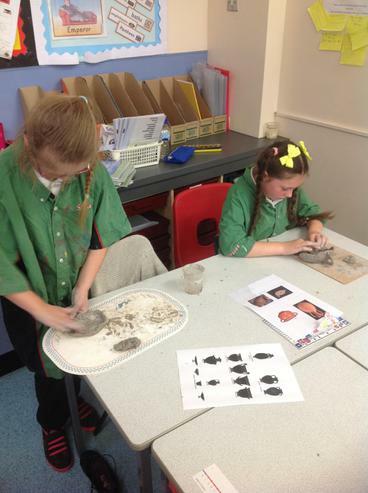 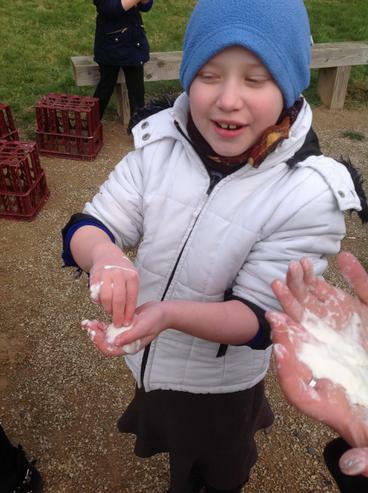 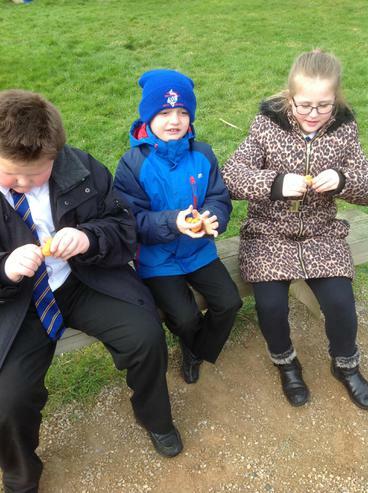 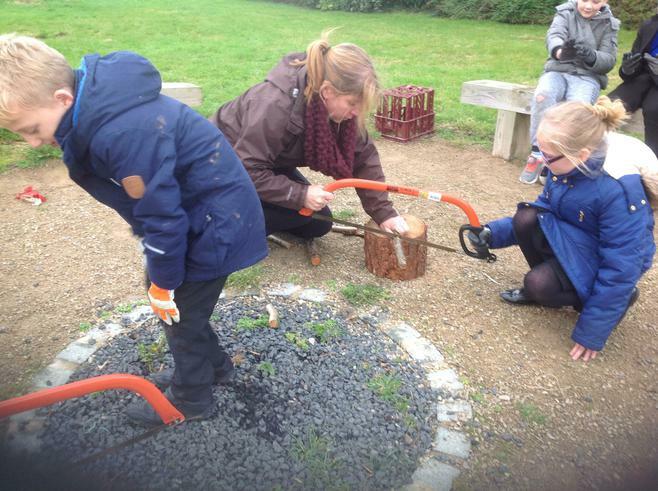 Mrs Milbourne showed them how to mould the clay in to similar shapes and then they had a go themselves. 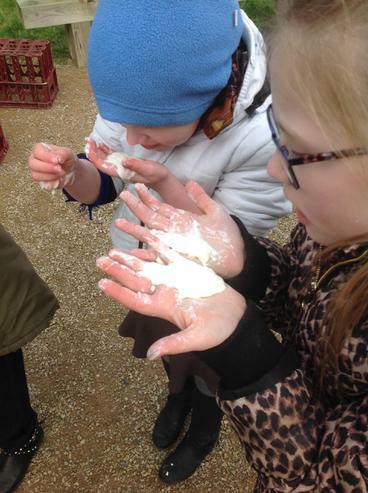 It was quite messy! 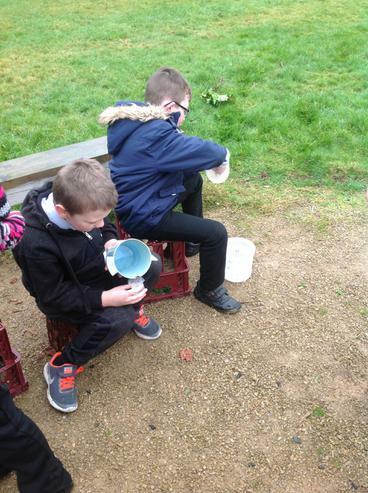 Can you tell what the pottery they made was used for? 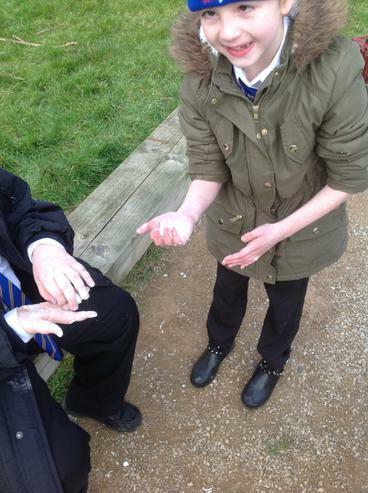 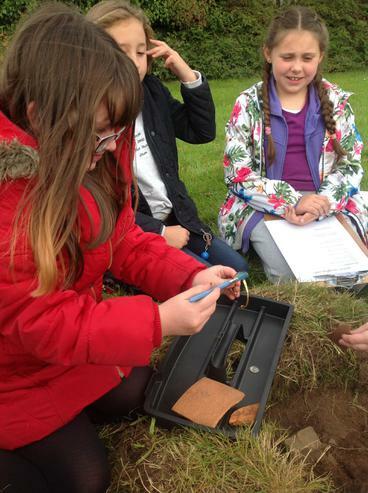 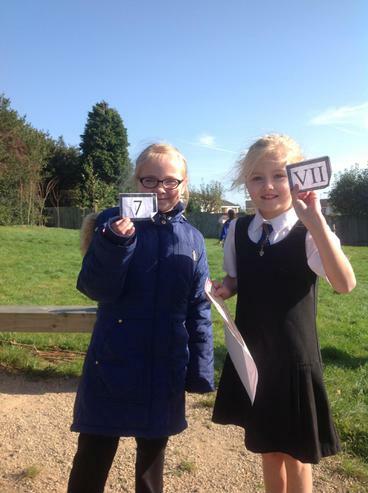 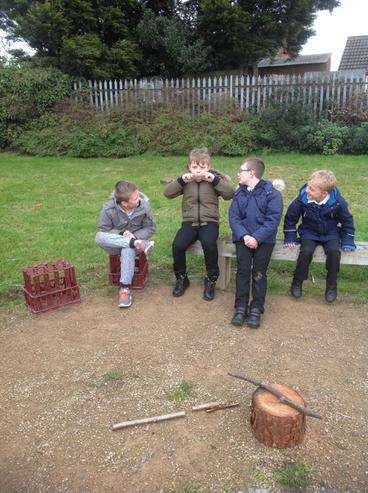 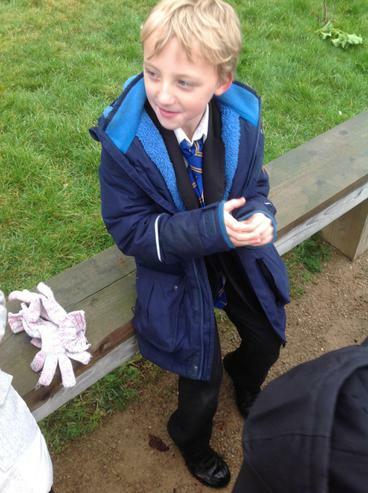 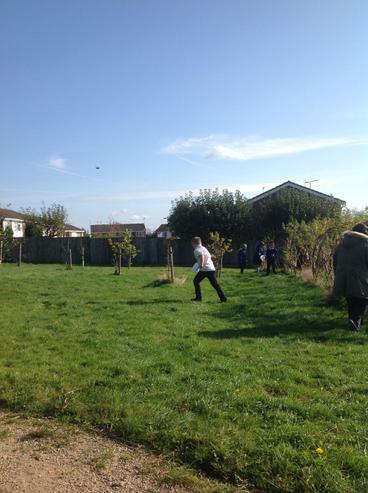 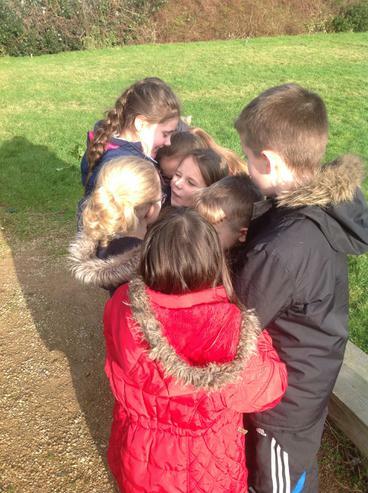 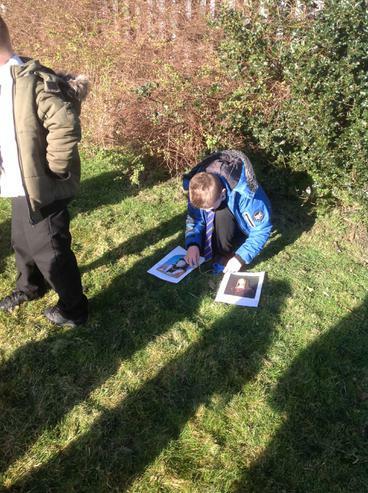 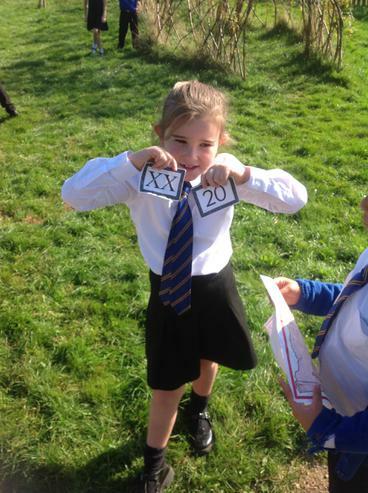 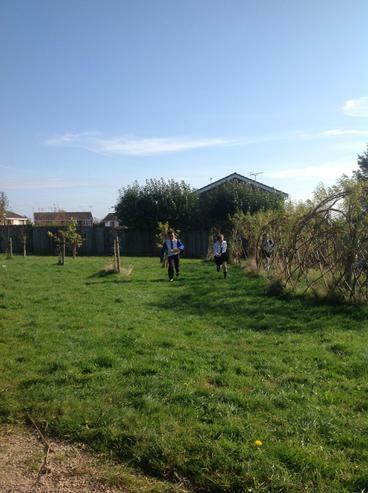 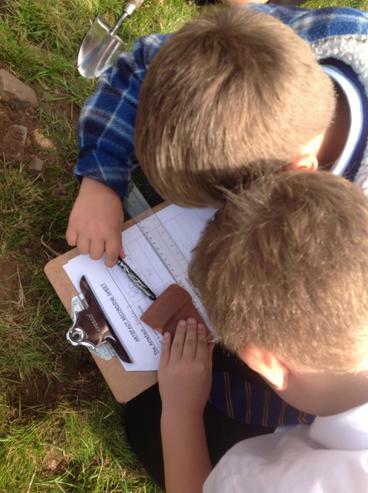 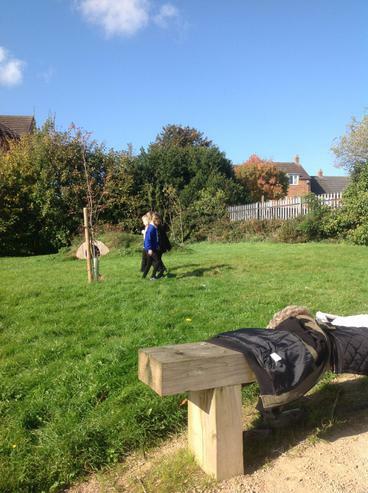 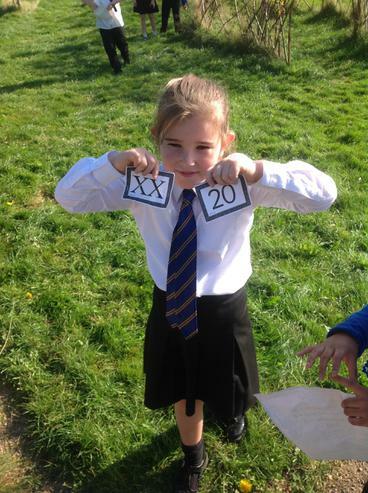 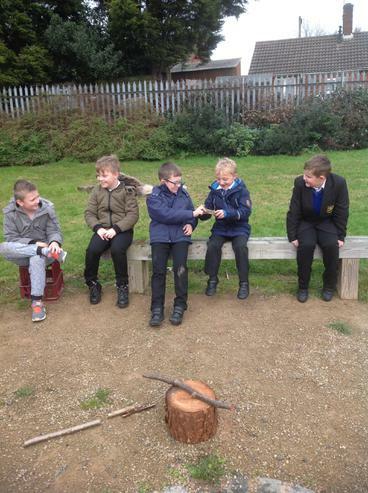 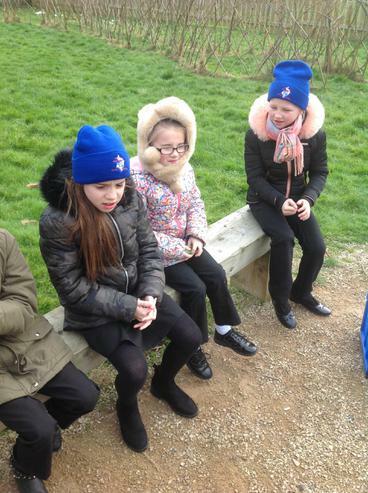 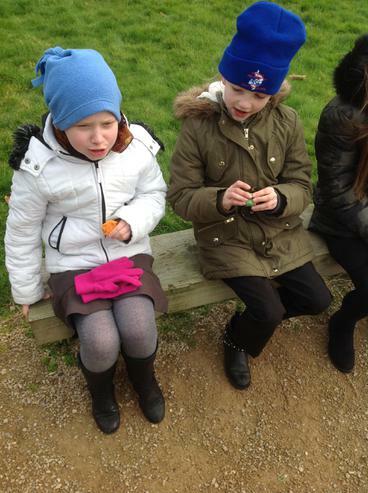 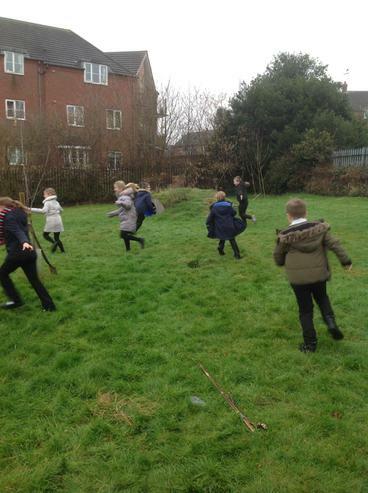 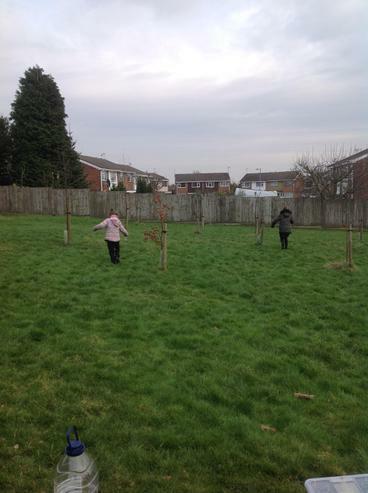 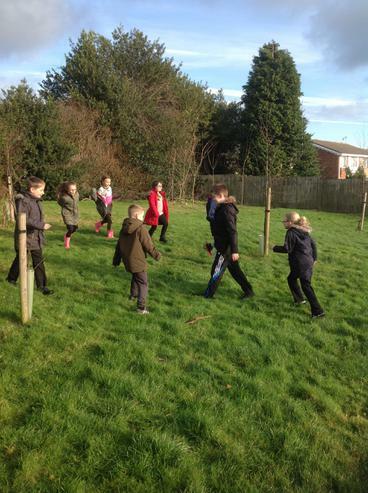 For the rest of the week, the groups went outside and played a Roman numerals game. 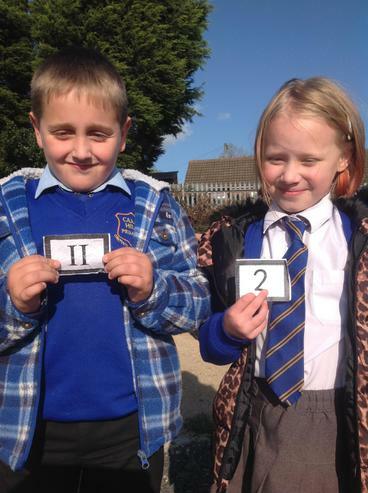 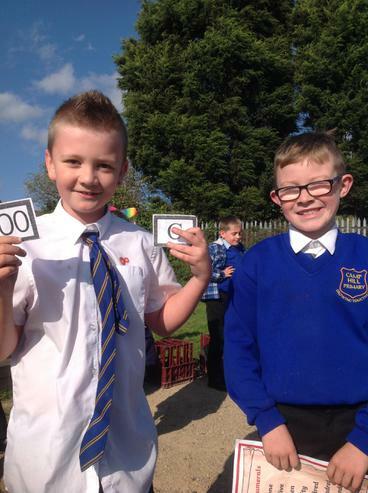 They had to match the numbers and numerals to win!